Tuesday was a big day in our house. Child number 2 started school. For months I've been feeling kind of sad about it, I mean my baby was starting school. I was a bit nervous about how I would feel having him at school (even though I knew in my heart of hearts that he was well and truly ready to start school). I guess that before the Summer holidays he was ready for school, it took the Summer holidays for me to catch up and be ready too! He is excited and confident about starting school and having observed him over the last wee while it is impossible for me not to feel the same way for him. There were no tears (from anyone) on Tuesday, just smiles and excitement. I am glad that I took the Summer holidays off from blogging and only did minimal sewing. I think I needed the time to focus and to recharge. I have included photos of my few small sewing projects in this blog post and the patterns for these will follow very shortly. Now that the school Summer holidays are over, I am really excited to get back to sewing. 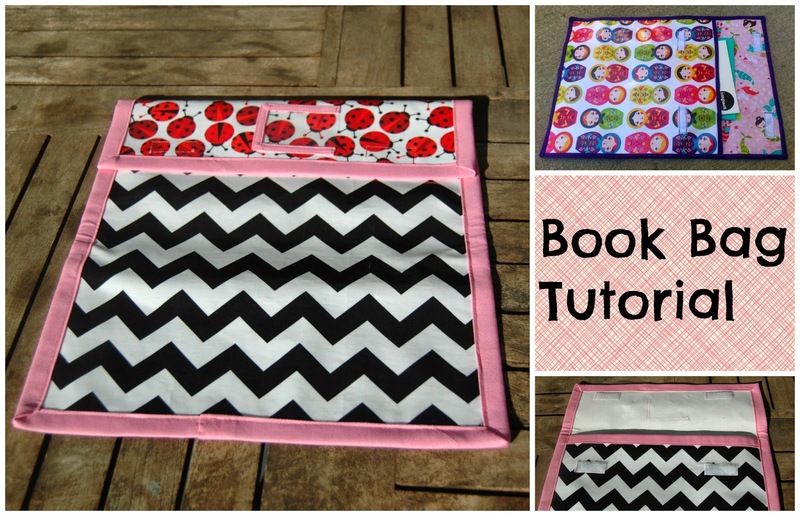 For me, having two school children means more time to work on my quilting and patterns. I am really excited about this year and have quite a few exciting things planned. I have a couple of commissioned pieces which have been designed but not yet sewn and which will appear in printed publications later this year. I am entering my first piece in a quilting challenge (my entry is sewn and I absolutely love it, but I can't show it to you yet... sorry!) The theme of the challenge is "Flight"- how could I not enter? I have a whole heap of patterns that I am working on and on top of that, I have a few talking and teaching gigs coming up later in the year (more details to follow soon...). Last year was a big year for me. I will admit that I started the year with a list of things that I wanted to achieve and if I am honest, I didn't achieve that many of them. That said, what I did do was grow my business and prove to myself and my husband that there is a market for my patterns out there. I managed to grow both my confidence and my brand. If the year had turned out differently, then I might be talking about getting a job now and taking a step back from quilting. Instead I am wanting to take this quilting lark more seriously. Who knows where this year will take me, I am looking forward to sharing my progress with you all. Wow - two at school, suddenly your days are yours until 3pm. 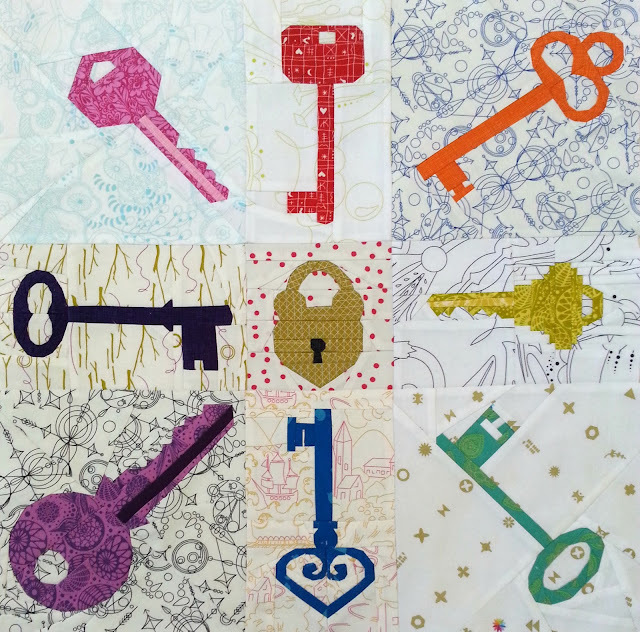 Enjoy your sewing and quilting this year, looking forward to seeing what you create. What a big step. I remember the silence at home in the first days. Enjoy your time for sewing. It's such a change when our littles go off to school. Your son sounds so excited to be learning! Really looking forward to what you'll be up to this year ~ I'm loving those lock and keys! That's great that your son is excited about school. 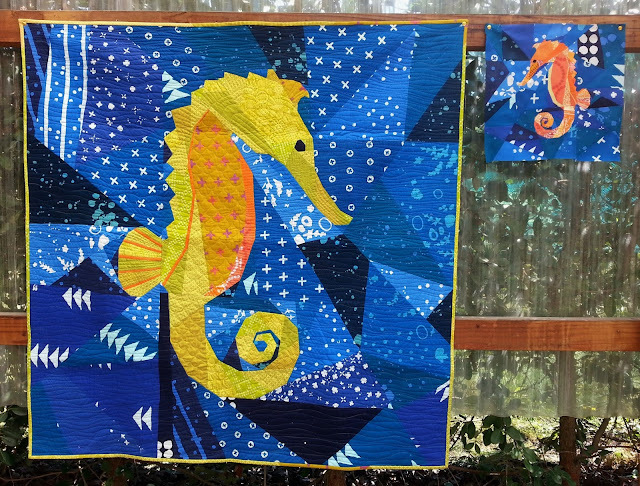 I just love the seahorse pattern and quilt. 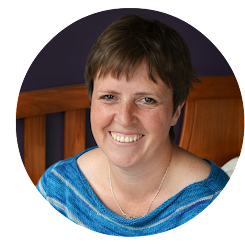 You've touched my heart with this blog post. Congratulations on this lifetime milestone for you and your son. It sometimes is difficult to move forward to the next stage and I feel like that in developing my projects too. Doesn't even compare I know, but all the babies are to evolve as yours is doing. Enjoy and savor the process and God bless. 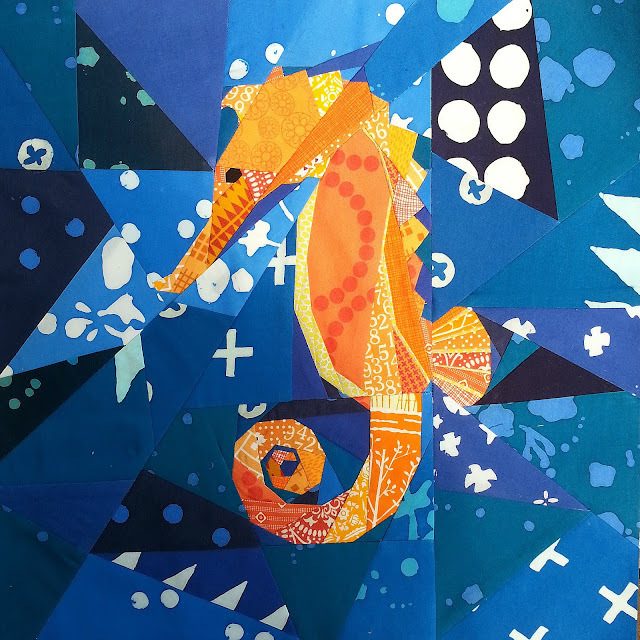 Love this Seahorse creation. I have a stuffed animal in to make a community quilt for to give to a child on the mend at a hospital and this pattern reduced would be lovely. Can't wait for you to share it with us. Quilty hugs being sent. Love both your new designs....wow. I'll be watching for them. Every stage where the kids moved forward and left me behind was really hard. Sometimes they had to wait for me to catch up and get used to their next changes....grin. Yay!! You are just so amazing. Plus I get to have you as a friend! I'm sure this coming year will be full of great ideas that will have your fans swooning with delight! I look forward to watching your creative mind at work! An exciting year ahead in many ways. Glad your son AND you are both happy about going to school. happy creating!